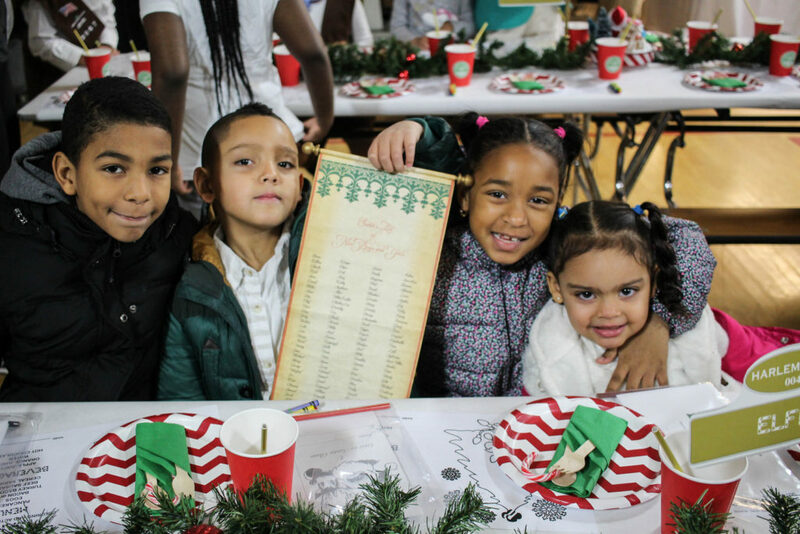 Every year, for over 25 years, the Riverside Community Girl Scouts in Harlem, New York has hosted an annual Breakfast with Santa. 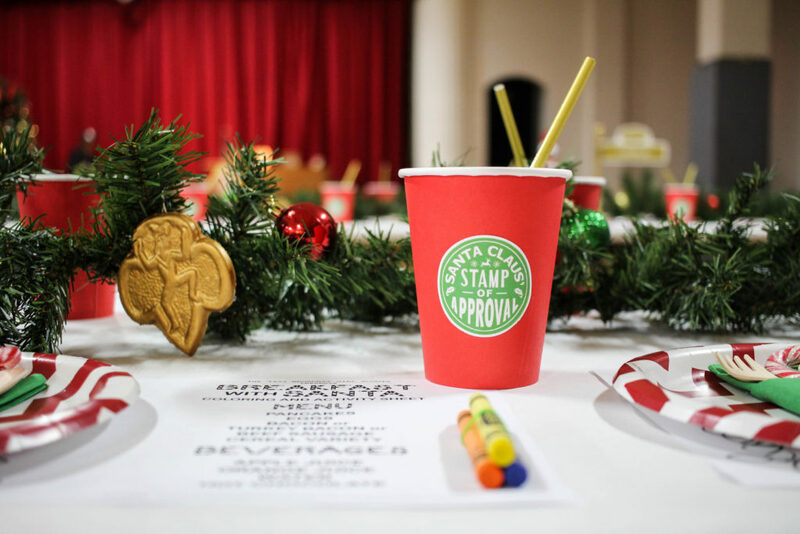 When former Girl Scout and event planner Marisa Flores of The Event Ninjas partnered with Noirstyle Invites, they rallied their community and created a Christmas Party full of mischievous red elves and childhood joy! 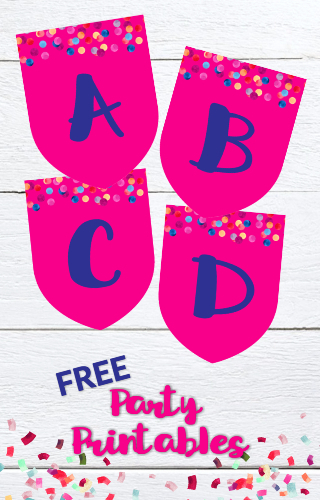 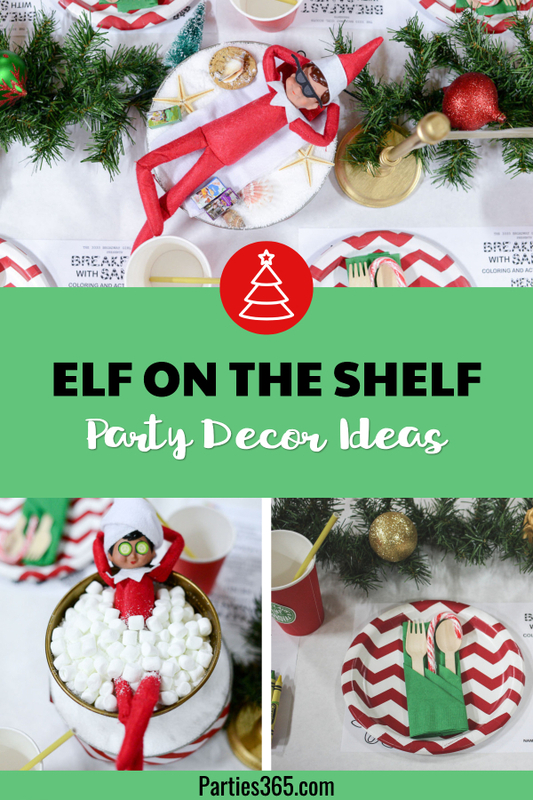 This darling Christmas party’s decor will inspire you to create an Elf on the Shelf themed holiday party of your own! 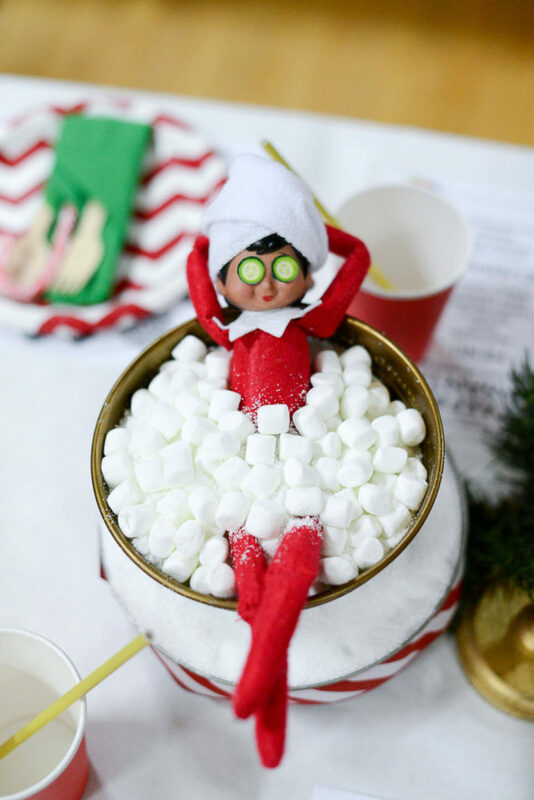 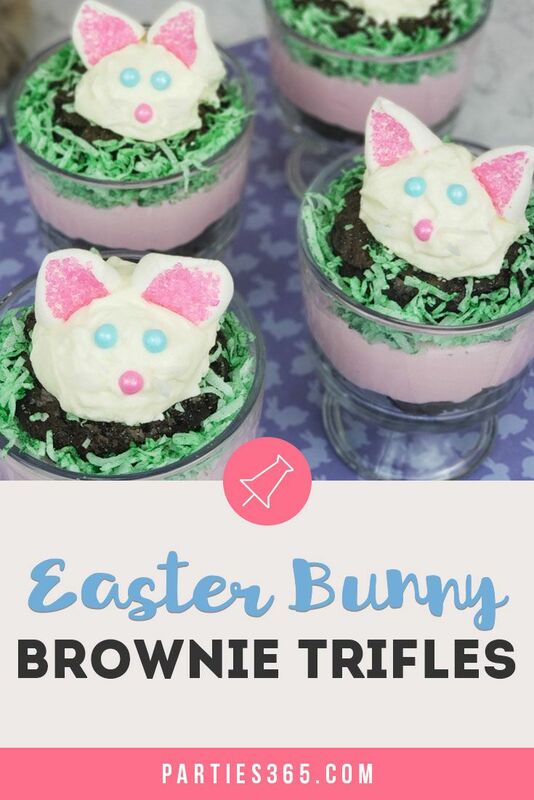 Keep reading for all the delightful pictures and festive details. 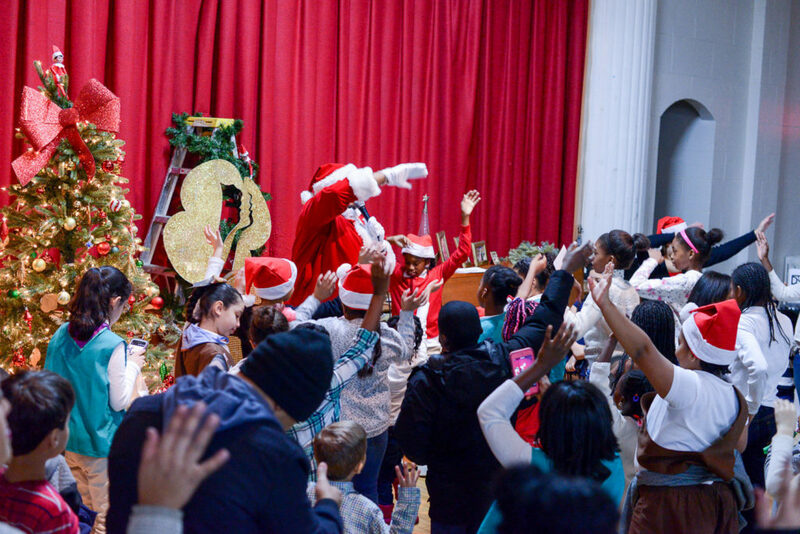 This Breakfast with Santa was a fun-filled West Harlem community event held in a local church that featured free breakfast, games, activities and a sing-a-long with a modern day Santa. 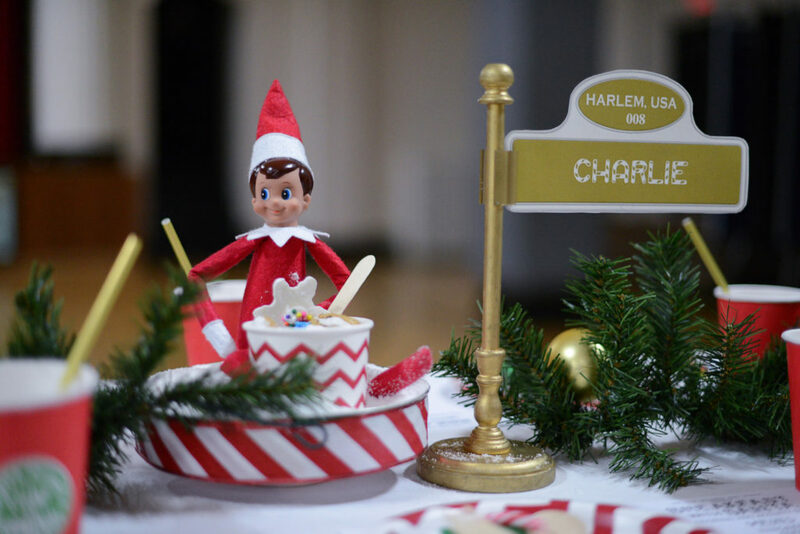 The Event Ninjas set the stage for a festive morning by decking out their tables with white kraft paper tablecloths, traditional holiday tableware and long garlands with ornaments down the center of the tables. 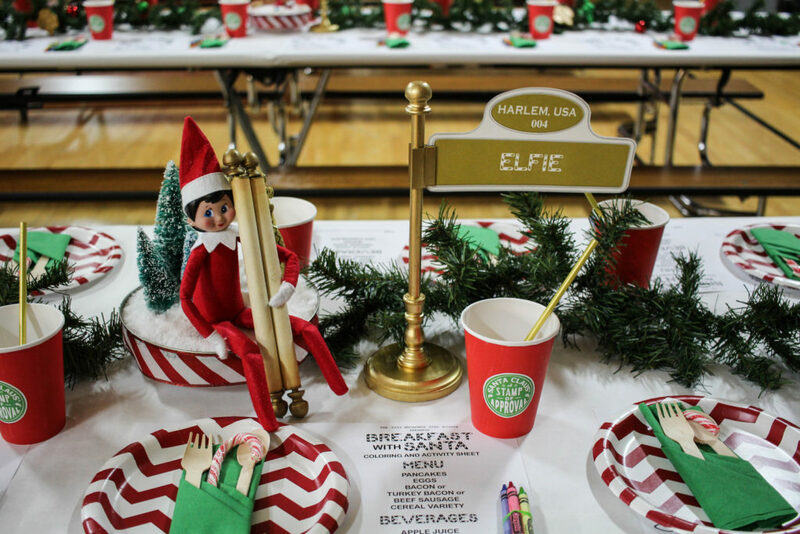 They creatively incorporated an Elf on the Shelf party theme by designing centerpieces with elves in different poses and scenarios along each of the tables. 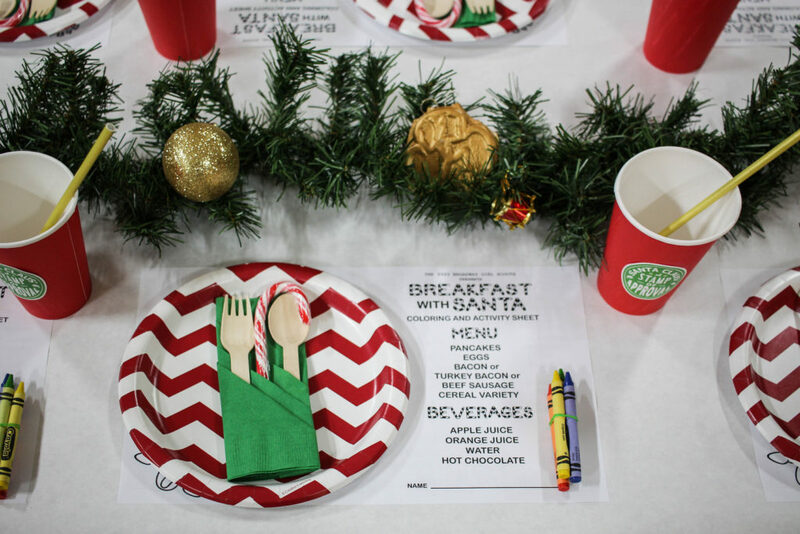 Each place setting featured red and white striped plates, green napkins, red cups with Santa’s Stamp of Approval and gold straws, crayons and a coloring sheet placemat highlighting the breakfast menu designed by Noirstyle Invites. 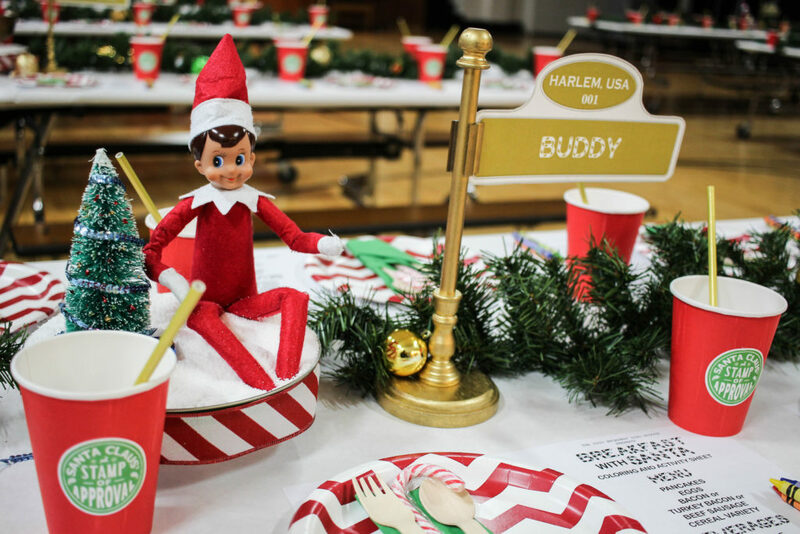 And of course, a candy cane tucked in the napkin! 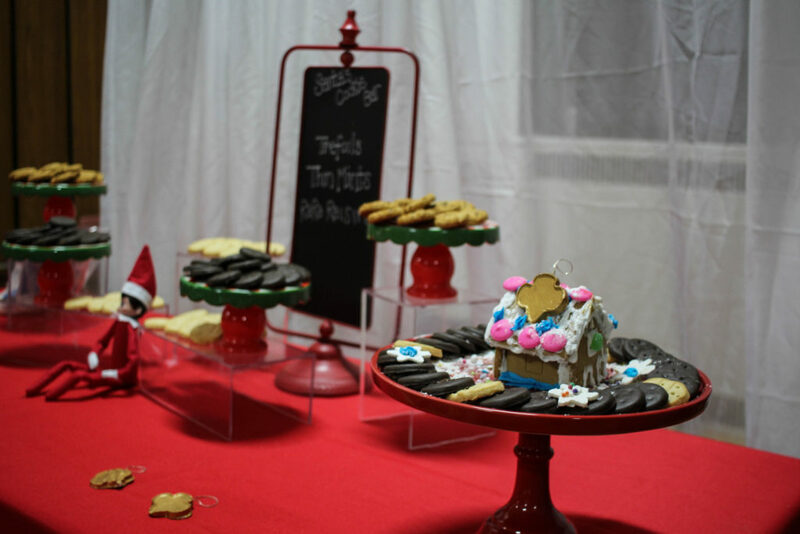 And because this was a Girl Scout’s event, what else do you put on your feature table other than Girl Scout cookies?! 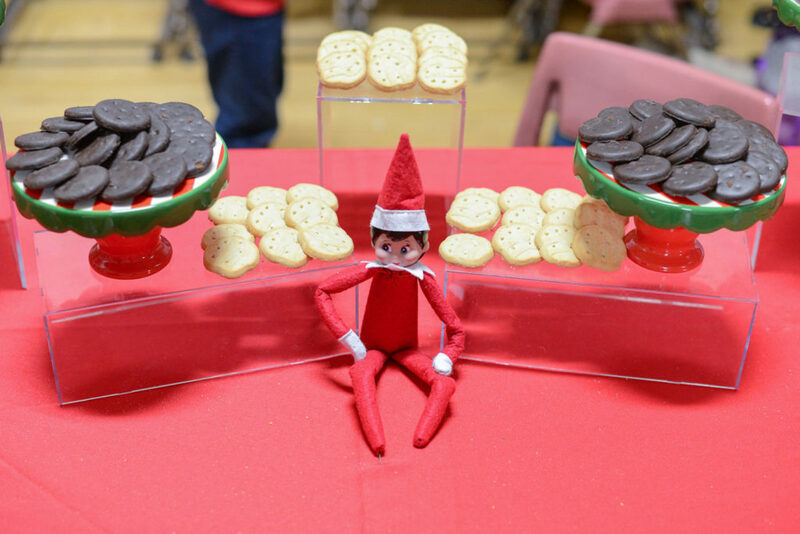 Not sure if that elf is guarding them, or about to claim them all as his own?? 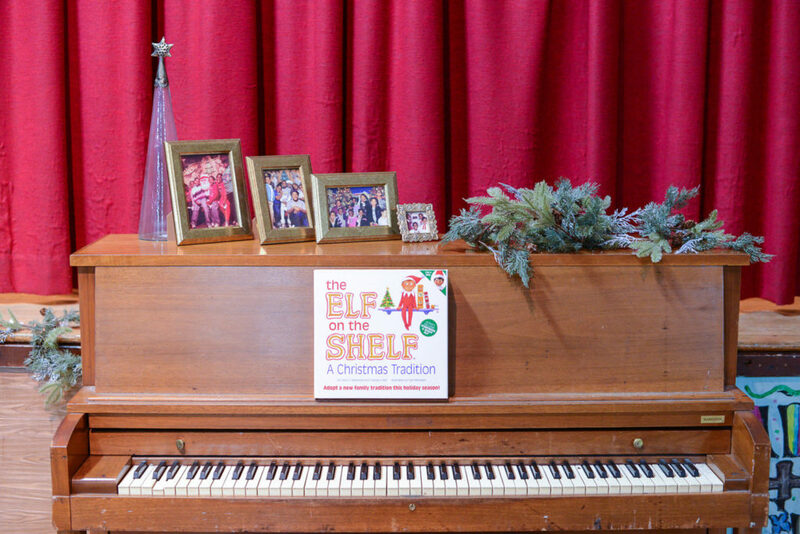 Other special elements at the Breakfast with Santa included the piano used in Santa’s sing-a-long where photos from past generations of Girl Scout Troops dating back to the 70s and 80s were featured to both celebrate a long standing tradition and to inspire a future generation of Girl Scouts. 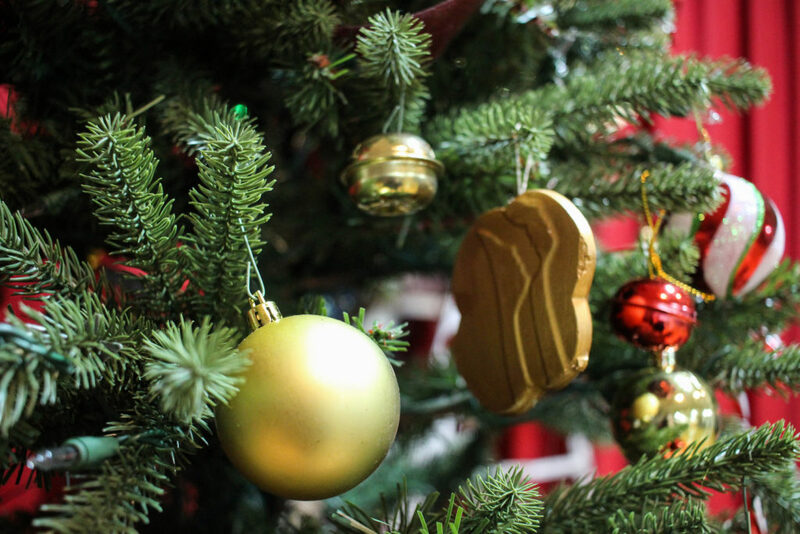 The Christmas tree at the breakfast featured handmade ornaments created by the Girl Scouts using a lollipop mold of the iconic Girl Scout emblem. 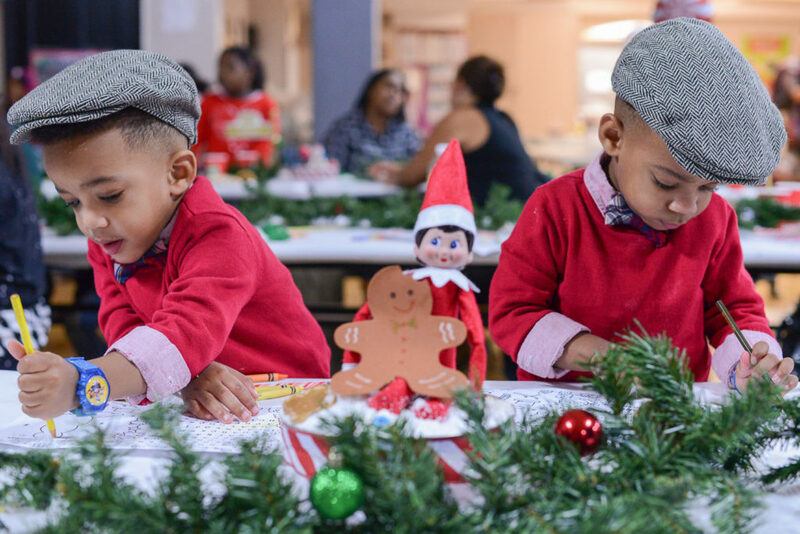 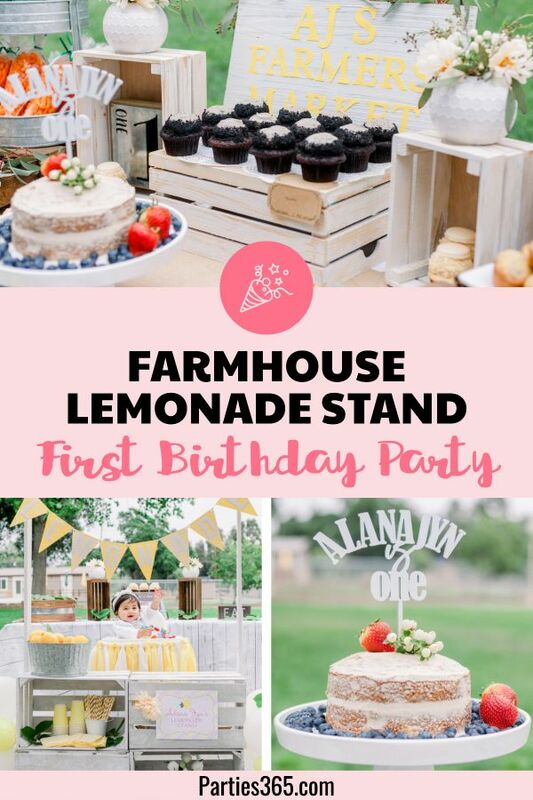 They were involved in decorating and organizing crafts and activities for guests and through the event, they earned their community service badges while learning new skills from planning to hosting. 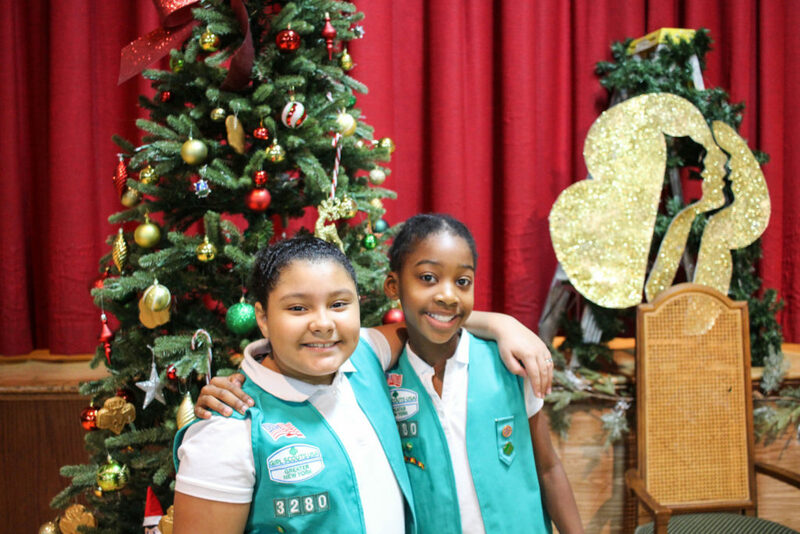 The fun, annual event was full of playful Christmas decor, Girl Scout tradition and the warm heart of a tight-knit community. 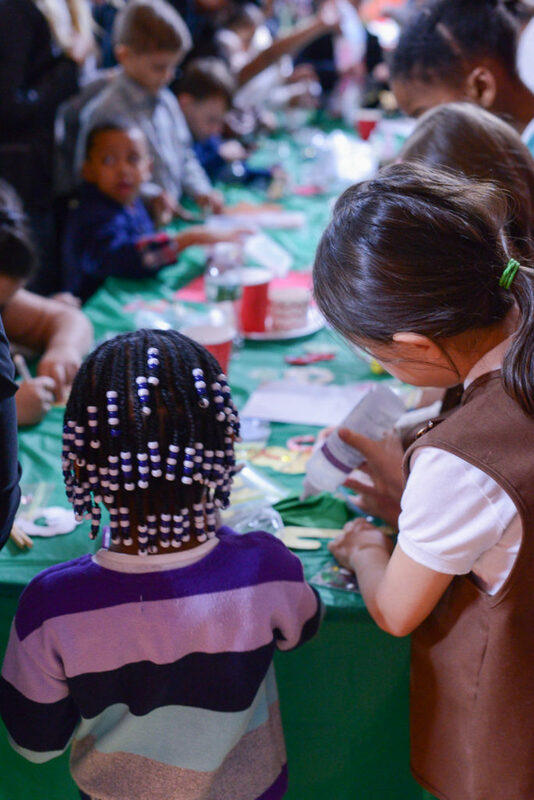 Well done Girl Scouts! 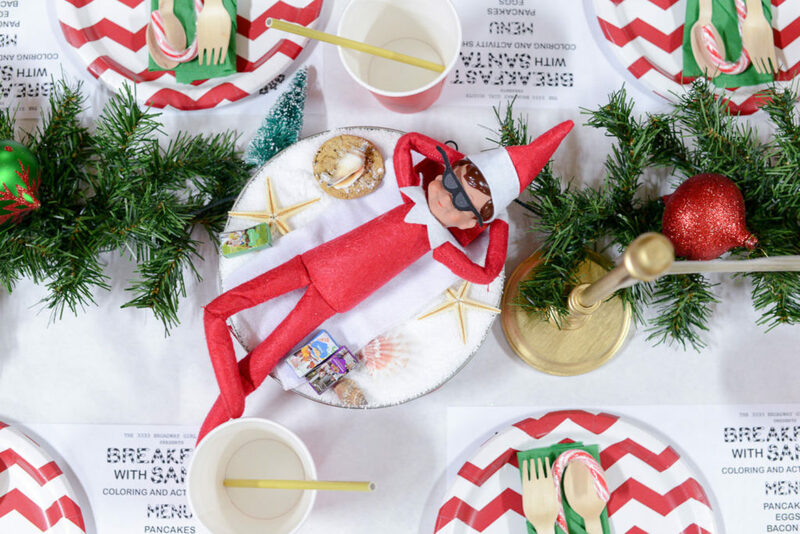 I think using the mischievous Elf on the Shelf elves as centerpieces and decor is the perfect idea for a merry Christmas party! 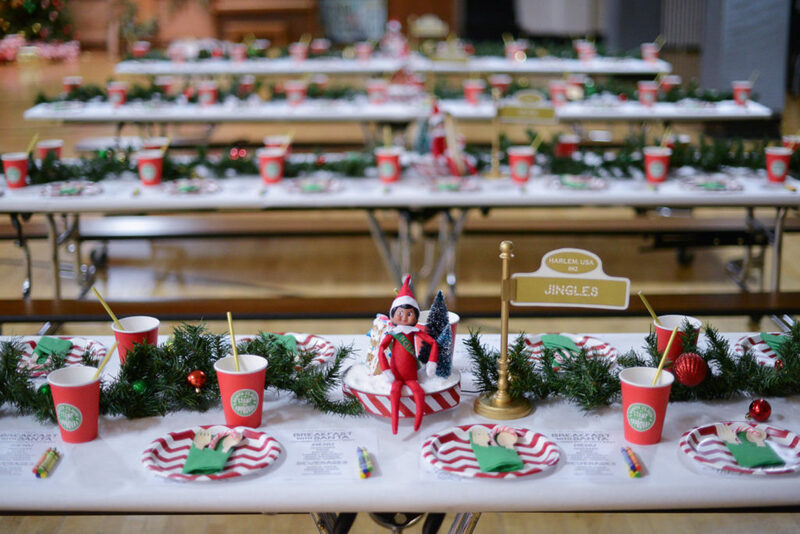 What was your favorite element from this Breakfast with Santa? 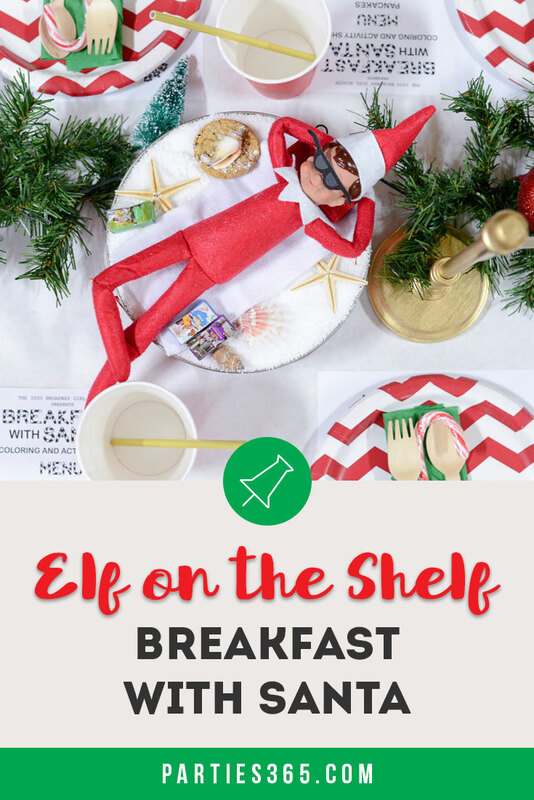 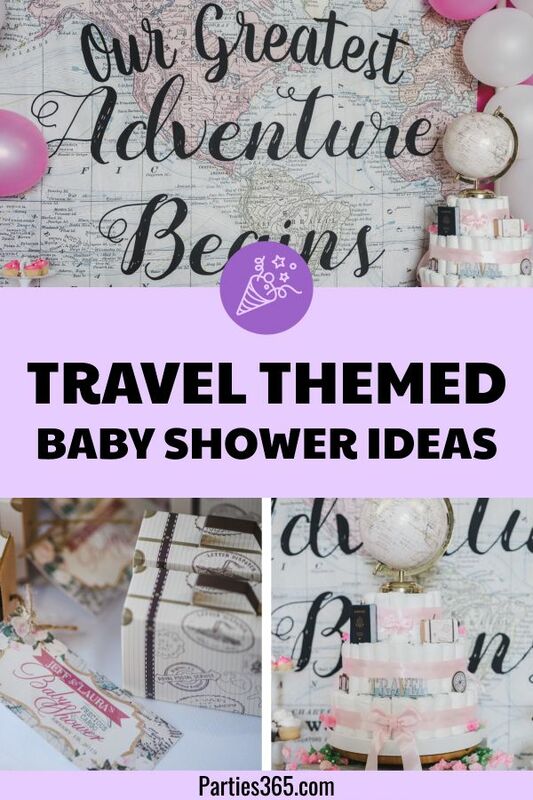 Be sure to Pin this post for later as you’re planning your Christmas party!